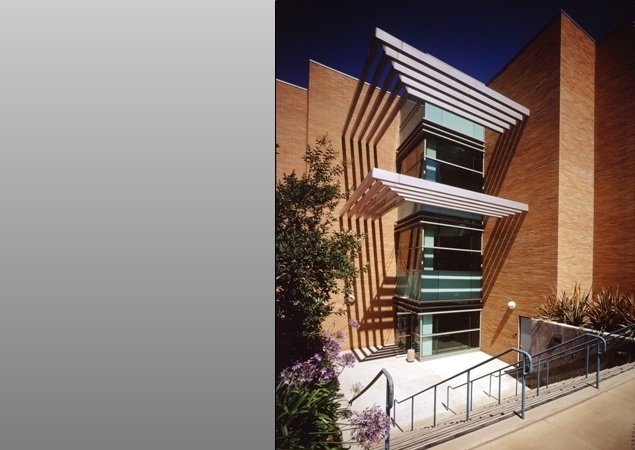 The intersection of the Pierce Hall Addition features a three story entrance lobby atrium, which is transparent and acts as the connection node. The openness of this space promotes socialization and professional interaction. Pedestrians have the opportunity to easily access the main entrance, which can be approached via monumental stairs. At grade level access is available through an elevator. The development of this three story building is modular and symmetrical. 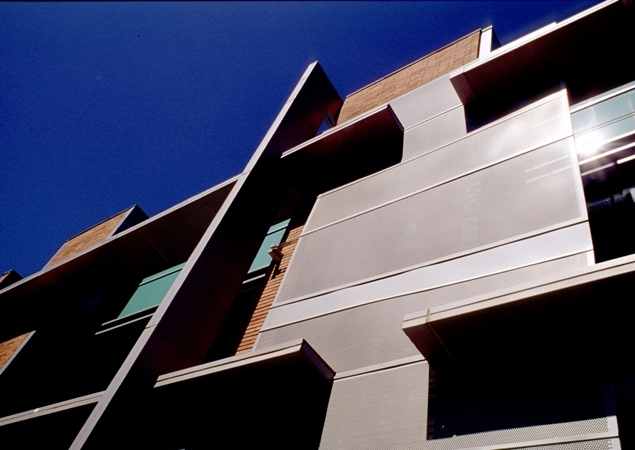 The Pierce Hall Addition integrates core technology with education and research. 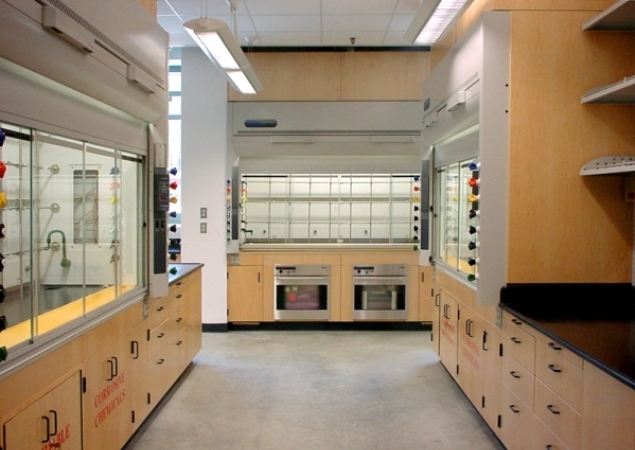 The first level is connected at the same finish floor elevation as the existing Pierce Hall and is comprised of 4 Instrument Labs with adjacent graduate and faculty offices. Immediately outside of the Conference Room is a private courtyard, which is accessible from the northeast side of the project as well as from the south. Connections to the existing Pierce Hall building are also available from the second level. A covered outdoor terrace creates opportunities for informal gatherings while staff can seamlessly transition throughout the facility. 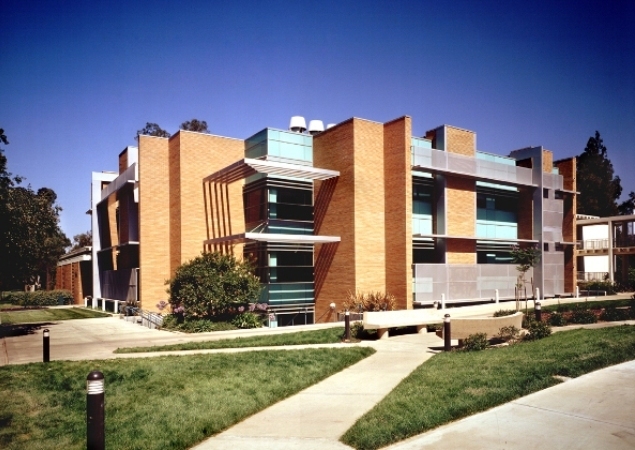 The second and third floors include the Synthetic Labs with adjacent Graduate and Faculty Offices. Accommodations for mechanical systems have been located at the center of gravity of the building. This results in minimum duct runs for each lab and allows distribution to the east and south sides of the laboratories in an effort to minimize crossing supply and return air distribution. 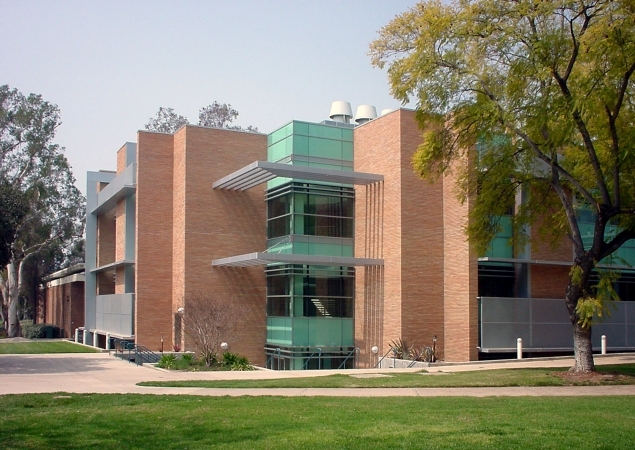 This facility will provide UC Riverside with "cutting-edge" laboratories designed to facilitate multi-disciplinary research and provide a strong image in a campus that it is coming of age into the new millennium.